1995 American Board of Naturopathic Medical Specialties of Family Medicine. Phoenix, Arizona. Diplomate and Board Certified in Family Medicine. 1982-1983 National College of Naturopathic Medicine. Portland, Oregon. Degree: Doctor of Naturopathic Medicine. 1979-1982 Pacific College of Naturopathic Medicine. San Rafael, California. 1975-1976 Alta Bates Hospital Medical Technologist Training Program. Berkeley, California. Licence: Clinical Medical Technologist. 1969-1973 Saint Mary’s College, Moraga California. Degree: Bachelor of Science in Biology. 1993-Present Southwest College of Naturopathic Medicine and Health Sciences. Clinical Faculty: Department of Naturopathic Medicine, Department of Physical Medicine: Naturopathic Manipulative Treatment. 1983-1984 National College of Naturopathic Medicine. Teaching Assistant: Naturopathic Manipulative Treatment. 1981-1982 Pacific College of Naturopathic Medicine. Instructor: Clinical Chemistry, Laboratory Diagnosis, Microbiology. 1985-Present Private Family Practice in Naturopathic Medicine. Mesa and Tempe Arizona. 1995-Present Southwest Naturopathic Medical Center. Scottsdale, Arizona. Clinical Staff Supervising Physician. 1989-1992 Comprehensive Health Services. Free Children’s Clinic: Scoliosis Detection and Treatment. Phoenix, Arizona. Volunteer Medical Practitioner. 1983-1984 University Hospital, Oregon Health Sciences University. Portland, Oregon. Clinical Pathology: Neonatal Intensive Care Unit. Medical Technologist. 1982 Haight Asbury Free Medical Center. San Francisco, California. Volunteer Medical Practitioner. 1975-1982 Alta Bates Hospital, Berkeley, California. Clinical Pathology: Laboratory. Medical Technologist. 1974-1977 Berkeley Community Health Project (Berkeley Free Clinic), Berkeley, California. Volunteer Medical Practitioner, Laboratory Supervisor. 2007-2008 Faculty Senate President. Southwest College of Naturopathic Medicine. 2007-Present Member – Board of Directors – Arizona Naturopathic Medical Association. 2005 Member: Faculty Research Oversight Committee. Southwest College of Naturopathic Medicine. 2003-2005 Faculty Senate President. Southwest College of Naturopathic Medicine. 2003-2005 Member: President’s Council. Southwest College of Naturopathic Medicine. 2002-Present Member: Research Advisory Board. Southwest College of Naturopathic Medicine and Health Sciences. 2000-Present Chair: Promotions Committee. Faculty Senate. Southwest College of Naturopathic Medicine and Health Sciences. 1998-Present Secretary: Southwest College of Naturopathic Medicine and Health Sciences Board of Trustees. 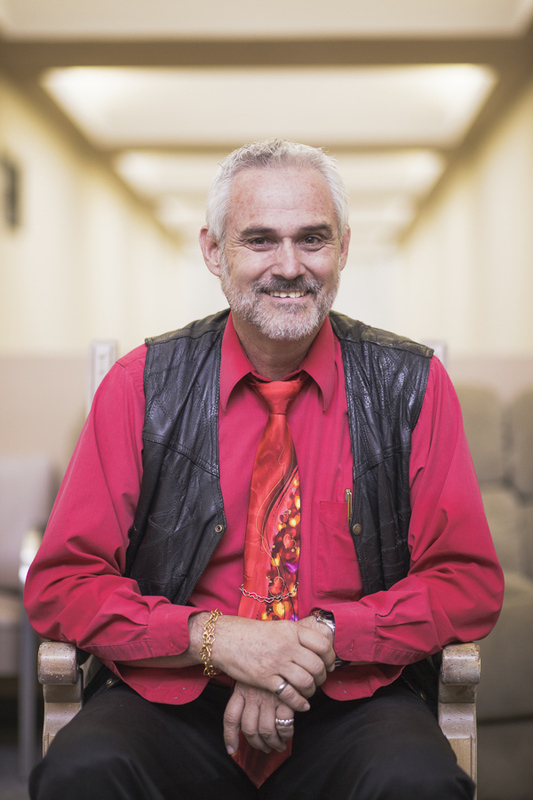 1996-Present Chair: Department of Physical Medicine. Southwest College of Naturopathic Medicine and Health Sciences. 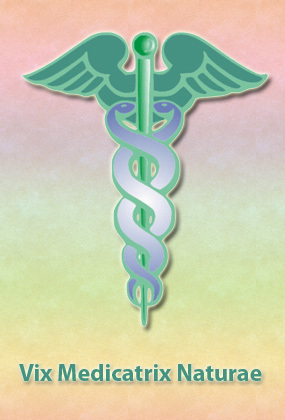 1995-2010 Member: Southwest College of Naturopathic Medicine and Health Sciences Board of Trustees. 1992-1994 Vice-Chairman: State of Arizona Naturopathic Physician’s Board of Medical Examiners. 1987-2010 Member: Naturopathic Physician’s Licensing (NPLEX) Board of Directors. 1987-1989 President: Arizona Naturopathic Medical Association. 1986-1987 Vice-President: Arizona Naturopathic Medical Association. 1985-1992 Member: Arizona Naturopathic Medical Association Board of Directors. Chair: Membership Committee. Co-Chair: Legislative Committee. 1985-Present Arizona Naturopathic Medical Association (AzNMA). 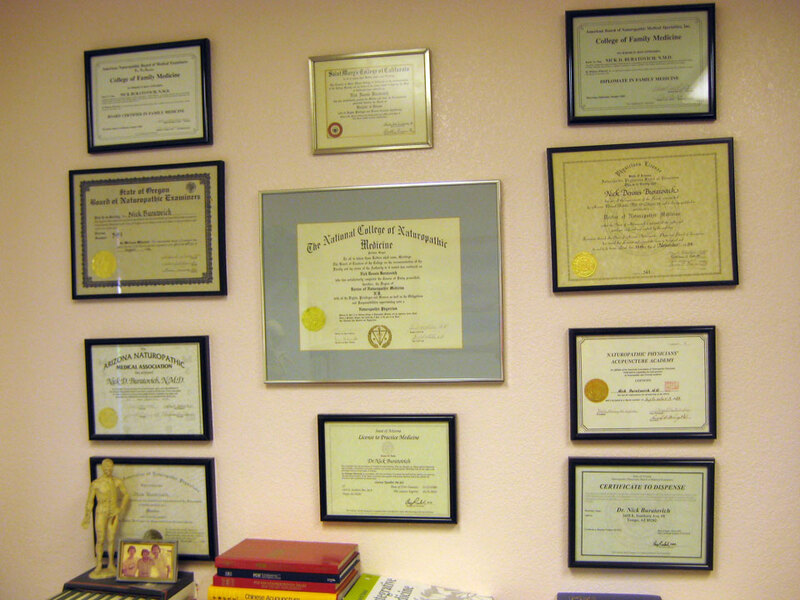 1995-Present American Board of Naturopathic Medical Specialties. Charter Member: College of Family Medicine. 2017 American Association of Naturopathic Physician’s Annual Convention: Professional Lecture: Manipulation Pearls: Practical Applications for Wrist Manipulation Following a FOOSH Injury. 2016 American Association of Naturopathic Physician’s Annual Convention: Professional Lecture: Manipulation Pearls: Manipulation of a Posterior Tibia. 2015 Integrating the Naturopathic Principles into the SCNM Program. 2010 American Association of Naturopathic Physician’s Annual Convention: Professional Lecture: The Red and Yellow Flags Spinal Manipulation: When To, When Not To. 8-13-2010 Portland, Oregon. 2009 American Association of Naturopathic Physician’s Annual Convention: Professional Lecture: The Psychology of Manual Medicine – Expressive Manipulation and Psychosomatic Conditions. Techniques Utilized by Naturopathic Practitioners. Convention. Professional Lecture: Diagnosis and Manipulative Treatment of Cervical Spine Dysfunction. 2008 Delivered Board of Trustees Address July 12, 2008. Graduate Commencement Ceremony Southwest College of Naturopathic Medicine. Convention. Professional Lecture: Diagnosis and Manipulative Treatment for Sacroiliac Joint Dysfunction. 2005 Panel Discussion Member: The Naturopathic Gathering The Therapeutic Order. Southwest College of Naturopathic Medicine. 2004 Keynote Speaker: Research Night Southwest College of Naturopathic Medicine. 2003 Delivered Board of Trustees Address July 19,2003, at the Graduate Commencement Ceremony, Southwest College of Naturopathic Medicine and Health Sciences, Scottsdale Arizona. 2001 Arizona Physical Therapy Association: Annual Orthopedic Update. Professional Lecture: Naturopathic Philosophy in Manipulative Medicine. 1999 Arizona Naturopathic Medical Association. Annual Convention. Professional Lecture: Heart of Naturopathic Healing. 1997 American Association of Naturopathic Physician Annual Convention. Professional Lecture: Extremity Manipulation. 1995 Arizona Naturopathic Medical Association. Annual Convention. Professional Lecture: Extremity Manipulation. 1993 Arizona Naturopathic Medical Association. Annual Convention. Professional Lecture: The Treatment of Soft Tissue Whiplash Injuries with Acupuncture. 1991 Arizona Naturopathic Medical Association. Annual Convention. Professional Lecture: Whiplash Injuries. 1990 American Association of Naturopathic Physicians. Annual Convention. Public Lecture: New Directions in Health Care – The A, B, C’s of Good Health. 1988-1989 Nutrition and Health Lecture Series. Sponsored by Ceres Whole-Food Market. Mesa, Arizona. 1986 American Association of Naturopathic Physicians Annual Convention. Professional Lecture: Treatment of Myofascial Syndromes with Acupuncture. 2008 Chair – CNME Self Study – Standard One Mission, and Objectives. 2008 Chair – HLC Self Study. Criterion Three: Student Learning and Effective Teaching. 2008 Student Retention Steering Committee. 2008 Master of Ceremonies – White Coat Ceremony 8-17-2008 Southwest College of Naturopathic Medicine. 2008 Master of Ceremonies – White Coat Ceremony 2-17-2008 Southwest College of Naturopathic Medicine. 2003 Chair: Vision Statement Committee as appointed by the Board of Trustees of Southwest College of Naturopathic Medicine and Health Sciences. 2003 Presentation of Diplomas, July 19, 2003, at the Graduate Commencement Ceremony, Southwest College of Naturopathic Medicine and Health Sciences, Scottsdale, Arizona. 2003 Recipient: OUTSTANDING FACULTY AWARD as voted by the Graduating Class of Summer 2003. Southwest College of Naturopathic Medicine and Health Sciences. 2003 Chair: Criterion Five Subcommittee. Southwest College of Naturopathic Medicine and Health Science’s Plan for Institutional Self Study for the Higher Learning Commission. North Central Association of Colleges and Schools Commission on Institutions of Higher Education. 2003 NPBOMEX Board Exam questions for Physical Medicine, June 2003. 2000 Member: Criterion One Subcommittee. Southwest College of Naturopathic Medicine and Health Sciences’ Plan for Institutional Self Study for the North Central Association of Colleges and Schools Commission on Institutions of Higher Education. 2000 Master of Ceremonies: Graduation Ceremony of Southwest College of Naturopathic Medicine and Health Sciences, Class of 2000. 1999-Present Conduct NPLEX review sessions for Clinical Boards in Physical Medicine biannually. 1999-Present Member: Scholarship Review Committee. Southwest College of Naturopathic Medicine and Health Sciences. 1999 Presentation of Hoods: Graduation Ceremony of Southwest College of Naturopathic Medicine and Health Sciences, Class of 1999. 1998 Chairman: Mission / Vision Statement Committee. Southwest College of Naturopathic Medicine and Health Science’s Self Study for Accreditation. 1998 Presentation of Hoods: Graduation Ceremony of Southwest College of Naturopathic Medicine and Health Sciences, Class of 1998. 1993 Arizona State Representative to the American Association of Naturopathic Physicians (AANP) House of Delegates. 1992 Recipient: PHYSICIAN OF THE YEAR award from the Arizona Naturopathic Medical Association. 1992 Moderator and Organizer of Political Forum: America’s Medical Crisis – A Naturopathic Health Care Solution. 1991 Co-Author: American Association of Naturopathic Physician’s Position Paper on Naturopathic Manipulation. 1990 Moderator and Organizer of Political Forum: Health Care – Insurance and Naturopathic Medicine. 1973 Recipient: ROBERT P. ROOD Medal. Awarded to the outstanding graduating senior in the Pre-Medical program of Saint Mary’s College. Kim LS, Axelrod LJ, Howard P, Buratovich N, Waters RF. A randomized, double blind, placebo-controlled clinical trial of methylsulfonymethane (MSN) for knee osteoarthritis pain. Journal of the American College of Nutrition. 2005;24(5):433. Kim LS, Axelrod LJ, Howard P, Buratovich N, Waters RF. Efficacy of methylsufonylmethane (MSN) in osteoarthritis pain of the knee: A pilot clinical trial. Osteoarthrititis and Cartilage 2005;14(3):286-294. Hawk C, Ndetan H, Kizhakkeveettil A, Cambron J, Buratovich N, Scarlett N, Smith-Barbaro P. Complementary and Alternative Medicine Professions Student’s Perceptions about Interdisciplinary Collaboration. Topics in Integrative Health Care [ISSN 2158-4222] – Vol 3 (2) June 30, 2012. Buratovich, N. Articular Neurology: How Osseous Manipulation Helps Joint Pain – A Neurological Explanation. NDNR online Editorial Exclusive article, July 2014 issue.